Kyle Hansen, founder of The Kyjen Company, felt bad for leaving the dog out of family board game night. Thus was born the company’s line of Dog Games. 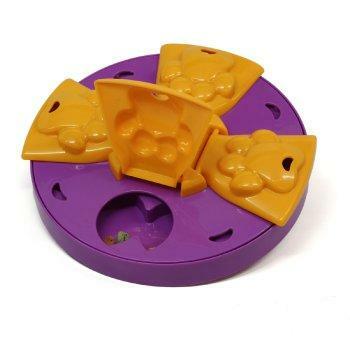 More than just simple toys, Kyjen’s Dog Games are multi-step puzzles meant as mental exercise and designed to teach problem-solving skills to dogs. 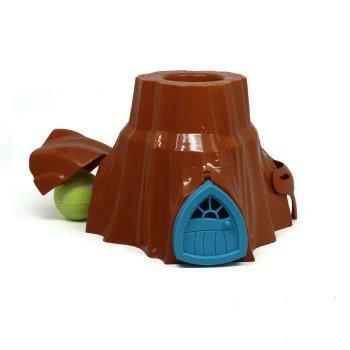 Examples include the Puzzle Paw Flapper, which requires the dog to lift and spin the device in order to retrieve hidden treats, and the Mystery Tree, which randomly routes a tennis ball to one of three different doors, each of which requires a different approach to open.